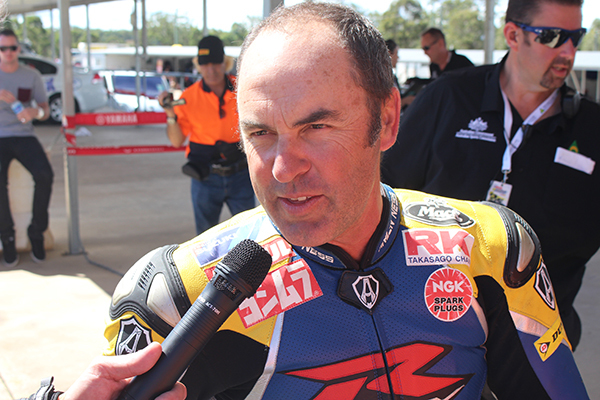 This week we spoke to three-time ASBK champion, Shawn Giles. How does it feel being around the paddock at the ASBK? You are pretty revered around here, and people want to know about your past – how is it being to share that with everyone? It’s really important for up-and-coming riders to be able to talk to past champions and we can give them some feedback and help them with their riding if they want to ask the questions. It is great being back here around the ASBK which has always been the premier competition in Australia. A lot of champions have gone over to race World Superbikes and go on from there, so it is a really important series to be a part of. How important for your career was having this championship – and a platform (not just in Road Racing), but in all disciplines, at club, state and national level? 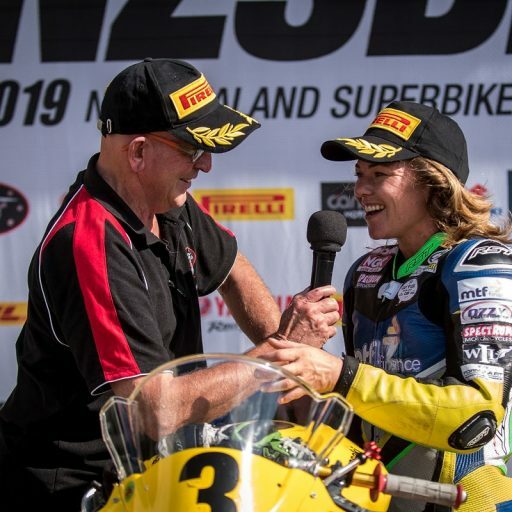 I think it is really important to have a championship to focus on and if you want to go overseas and race, you need to have a national championship with a high level of class, and that’s what the ASBK has. How important was that for your career? Oh for me it was what I aimed for and strived for to win, because that was really your only stepping stone to go overseas and try and get a ride overseas. It has changed a little bit overseas now because a lot of teams probably want money to ride and Australian guys don’t have heaps of money like over there when you can bring in overseas sponsors. But still, it’s a very important part of motorcycle racing to win this Australian Superbike Championship. Do you feel the awe I am talking about when you walk around here, the regard that people hold you in? I don’t think that people currently understand that, but they eventually will because this is the early days of the series being reformed. I think we need to build the promotion and the publicity of it, and I think networking to get the industry to support it more and to get the people back to watch the racing because it is really good. Hopefully we will have the major manufacturers back in the fold soon, and that will make it really strong again. I think the hardest thing because we have two series going, it makes it really difficult. As I said before there is not a lot of money around and a lot of the guys are self funded so they have to try and find some sponsorship to go to the meetings. 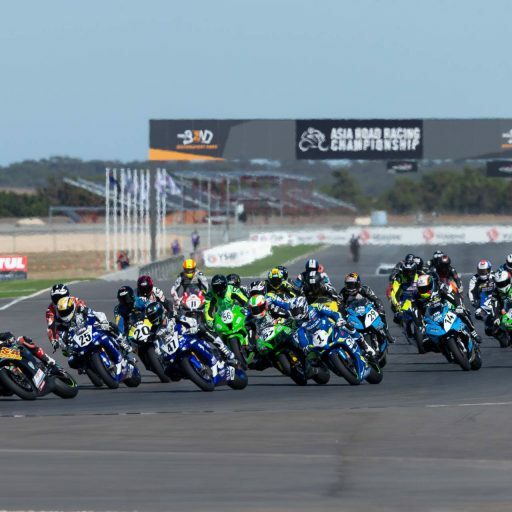 The ASBK is doing well with television now, it really helps the riders to get their faces out on TV and in the media, and I think it is a huge step. A lot of overseas teams have always looked to Australia for the next up-and-coming riders. A lot of riders are coming across from dirt-track to road racing, and you look at things like the Troy Bayliss Classic – it has a lot of riders enthused in dirt-track, and it teaches people a lot about riding and controlling the motorcycle. But it also gives them that speed that can transfer across to road racing and this stuff is awesome. In terms of the classes on offer and the bones of the championship, how do you feel about it and the general set-up? It all looks pretty good and Peter Doyle on board is a great thing. He has a lot of experience and wealth of knowledge to put back in. I think it is early days, but the input we are putting into it now is going to help build it to be bigger and stronger, and the classes are great for the young guys to come through. The Supersport class is a really big field where in the last few years it has been dropping a little bit, and the numbers in Superbikes have been really good too, so I think it’s really good. How do you feel about the calendar for the championship? I guess it is very important for building strong riders to get all over the country. In the early days of the Australian Championship you travelled to nearly all the tracks and got to ride on all types of surfaces and different layouts which was beneficial. I had never been to Morgan Park but I quite liked the track, and it helped to teach young guys how to get their bikes set up and how to race around a difficult track. When you walk around circuits that the guys haven’t been to, and you see the different cambers and different surfaces, how it falls away in parts – explaining that to young guys so they can learn how to handle it and get the best out of it – it’s important to have that sort of stuff. And that’s the main reason you are back here with Brayden (Elliott)? Young guys sometimes think they know everything, and they do know a lot, but you want to help them as much as they can so they can get further ahead quicker without having to learn the stuff that I had to learn without much help. I love helping young guys – that’s just the way I am. I love helping them if they are willing to learn and listen because all I want to see if guys be able to make it overseas and follow their dreams, and if I can help that it’s awesome. Fantastic – thanks for your time Shawn.